As a premiere careers space credential, the Certified Professional Career Coach program (CPCC), by the PARW/CC, offers you a comprehensive window into the career coaching industry. 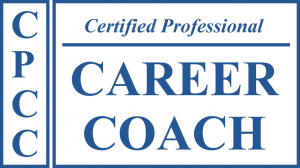 Add career coach certification to your list of tools and skills or begin a totally new career! Membership in the Professional Association of Resume Writers & Career Coaches (PARW/CC) is required to register for the CPCC and retain membership. PARW/CC is the longest standing professional resume writing and career coaching association in the industry with more than 1100 members, and offering three career management credentials. Diane is the Director of the CPCC credential, a comprehensive program focused on career management and job search coaching strategies. This leading online Career Coach Certification program is attracting students from multiple countries, and a wide range of industries and credentials! From PhDs, university counselors, business professionals, therapists, military transition specialists, counselors, outplacement specialists, VA counselors, résumé writers, entrepreneurs, employees of various companies and institutions, and many others. 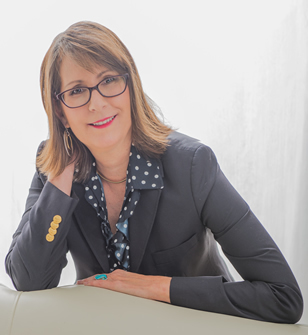 The CPCC program was written and led by Diane Hudson, a notable Career Coach with multiple credentials, an award-winning resume writer and career coach, quoted in newspapers nationwide, published in 60 plus books and periodicals, book chapter and case study author, and international careers industry speaker. You can be a CPCC in 6 to 8 weeks… Or, study at leisure and take up to one year! Career Coaching is a positive, forward-thinking, active partnership with the client. It is exciting to watch clients realize their career purposes, design viable career-search strategies, and conquer career goals. Career Coaches inspire, motivate, and empower clients to set and get career goals! As you move though this program, you will explore and gain the above noted skills, and begin to revel in your clients’ career successes! The Certified Professional Career Coach (CPCC) program includes 6 hours of video to enhance over 600 pages of written materials, using live dialogues, inspirational stories, and case studies. The manual is a self-guided comprehensive workbook filled with practical exercises to properly train you to coach your clients to career success— building your confidence level as you practice career coaching skills. Our complete self study training allows you to study and gain certification at your own pace. All study materials are now available here online in our members area. We give you the tools and support needed for your success. We also include a bonus “Career Coach Gear Box” filled with forms and documents that will help you work with your clients and set up your new Career Coaching Practice! The CPCC program also includes a personal telephone coaching / Q&A session with Diane, online Q&A support, testing (including four hours of documented coaching time), and certification. The CPCC program is offered via a home-study course to help you slowly absorb the information presented; and provide time for you to complete the exercises in the manual, before you offer the exercises to your clients. With nearly 1000 participants involved in or certified via this program across the globe (USA, England, Hong Kong, China, South Africa, Dubai, Kenya, Germany, Italy, South Korea, and others), and from varied career industry practices, career centers, and outplacement centers, this program coaches you before you coach your clients. Helen Mancuso, MPA CWDP CPCC, at Luzerne Community College, presented this information to the Department of Labor in 2017. “Effectively serving our students through career coaching is an innovative-yet fundamental- tenet of the $10M Trade Adjustment Assistance Career Training (TAACCCT) grant funded by The Department of Labor. Career Coaching was a pioneering concept to community colleges at the inception of the grant. Career Coaches are different from academic advisors who concentrate on transcripts, programs of study, and paperwork. Rather, a Career Coach is a guide in goal development and helps map career paths. The coach helps clarify purposeful employment-seeking methods. Coaches often counsel on supportive services, referrals or soft skill development. At a recent national convening of TAACCCT grantees in Washington, D.C., we recapitulated the value of having a Certified Professional Career Coach (CPCC) on campus. We found the ideal program in PARW/CC. This program gave the training coach tools to use immediately in individual and group coaching sessions. The modules provided our career coaches with ideas for workshops almost immediately. All TAACCCT staff completed the program. It is no secret that enrollment in community colleges is low across the nation. 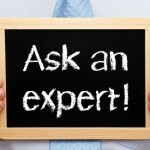 Could career coaching be the answer? A student who persists does not have to be recruited. Retaining students is more financially advantageous to the longevity of programs. Happy students tell their friends about their great experience!